Let’s chat about it, shall we? 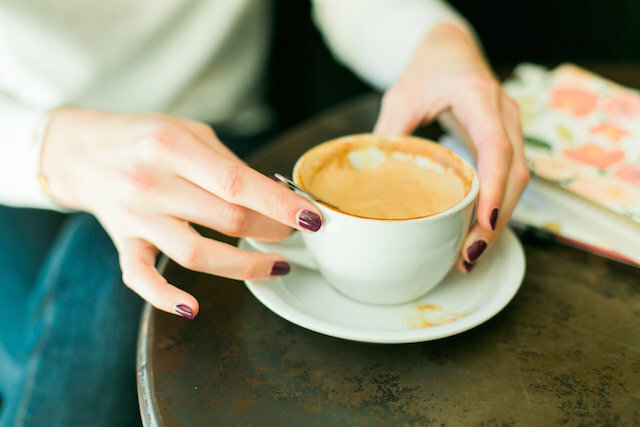 Grab your coffee. Health Coaching has always been a service. A six month service where the Health Coach guides the client to reach his/her goals. In my case, her goals. Well, my Health Coaching “went tangible” when the Healthy Hits Coaching Binder for HHS came out last July! It’s been a hit ever since. When you work with me, you will not only get a one-on-one Health Coaching service, but I will also provide you with your own Health Coaching binder full of beautifully designed/printed resources on nutrition, lifestyle, metabolic types/tests, recipes, exercise trackers, progress trackers, payment trackers, session note sheets, tips/suggestions, lists, experiments, worksheets, and guides. 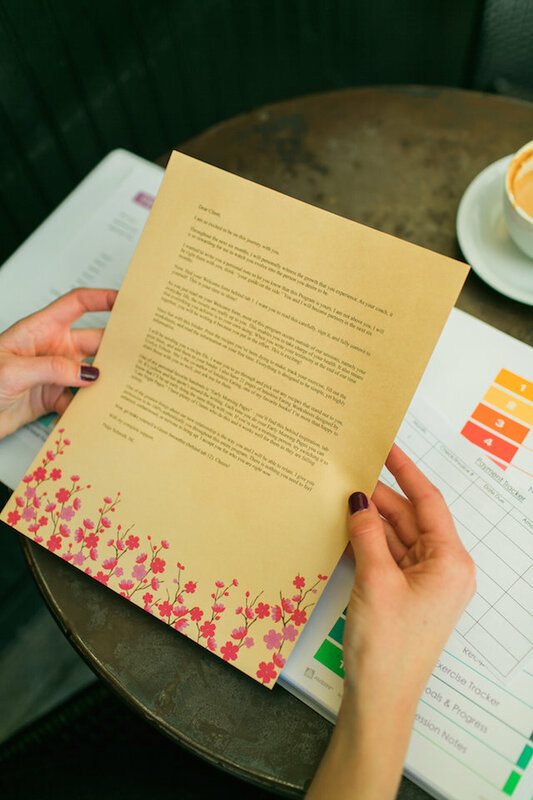 Not only will you receive 160 simple yet information pages teaching you the ways of a healthy lifestyle, but you will also receive a very personal letter directly from me. This is the perfect way to start off our relationship. After our initial consultation together I will know more about you, your goals, and how can guide you within our six months together. 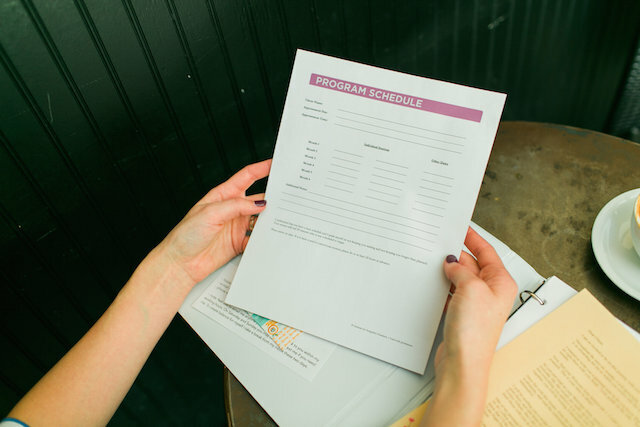 Slipped inside the front cover will be your Program Schedule completely filled out with all of our future meetings. 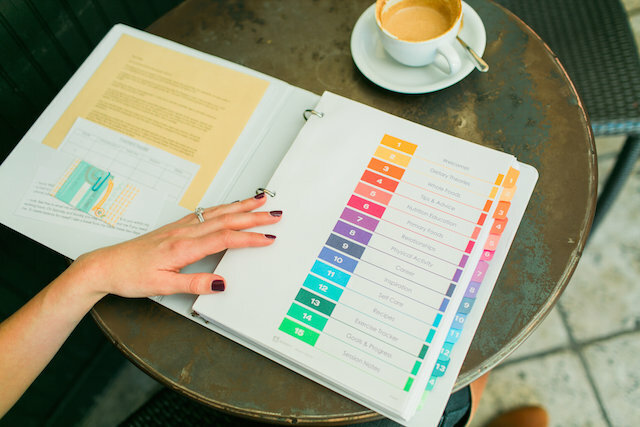 This will help you to feel organized, on track, and motivated (having a health coach & your own schedule appointments in itself is sure to make you feel empowered, motivated, and accomplished). You will know exactly when your appointments are, and it will be easy to implement our bi-weekly phone sessions into your current lifestyle. At our consultation, you will receive your Circle of Life, Goals Worksheet, and Program Agreement. You will be sending these three pages to me in the mail. In your binder, I will include copies of all three pages (your binder will be shipped shortly after I receive your getting started papers). This way, you will have your signed Agreement, you will know what your Circle of Life looked like when you first started, and you will be able to see all of your six month goals. 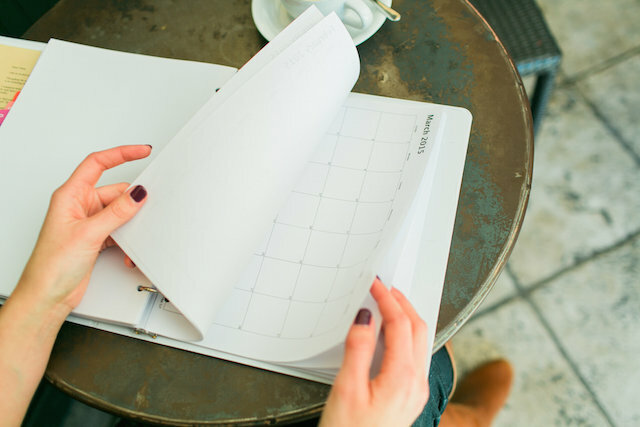 Behind the 12th tab in your binder will be six months of printed calendars for you to track your exercise. This will be one way I hold you accountable as we work together to increase your daily movement. Behind the 15th tab will be printed session notes to write down any recommendations I give you, and anything else you want to keep track of throughout your Signature Six-Month Program. After each session I will email you a follow-up with my recommendations for the next two weeks. 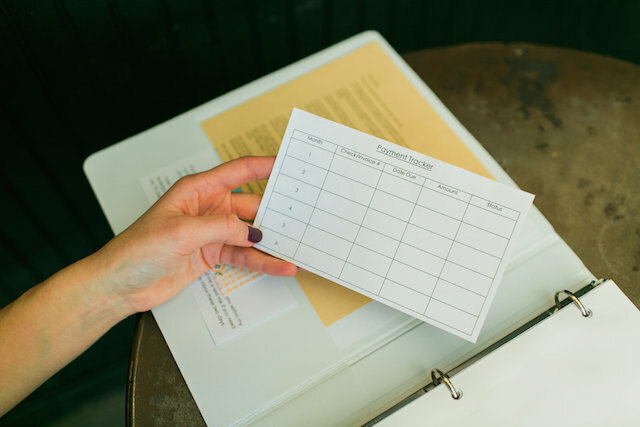 You may print out these follow-up emails and store them in the notes section of your binder. 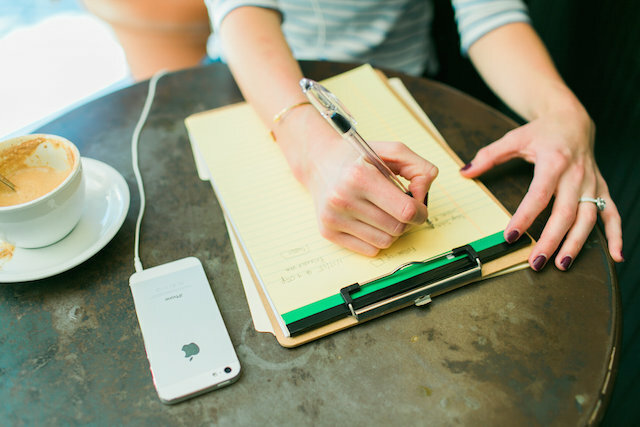 This will keep you organized and help you to stay super intentional with your goals. 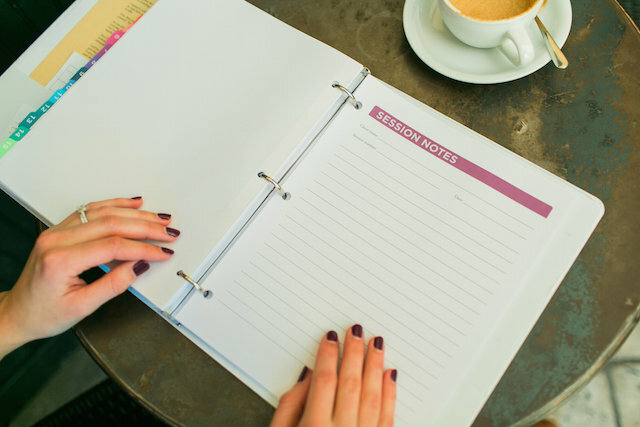 The table of contents in the front of your binder will show you exactly how to navigate. Although there are 160 pages, they are organized between 15 dividers and simple to browse through. 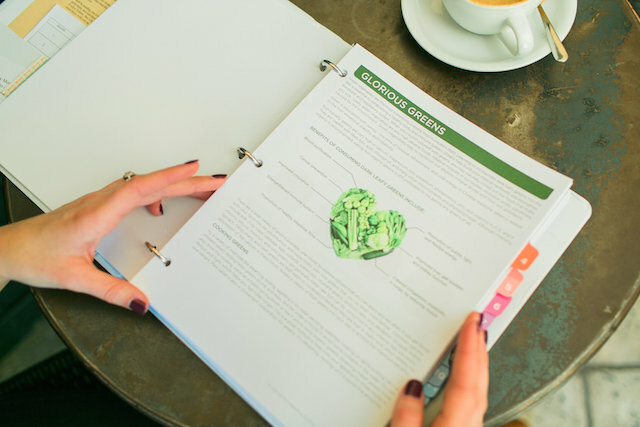 Don’t worry, it’s not a binder full of case-studies, it’s full of easy to read, practical, informative handouts to teach you how to live your new & healthy lifestyle. It’s so motivating! Trust me, I even made one for myself! This is from one of the handouts I provide on finances. 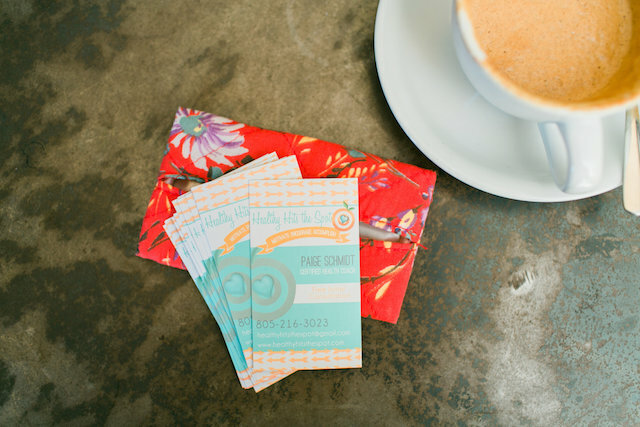 It’s a check-list to make sure that you’re in a healthy spot with your money. Read #68. Do you know how much you’re worth? This is such a great thing to ask yourself when considering Health Coaching. I find it so interesting that we are willing to spend so much on junk food, clothes, and coffee, and so little investing in our health. Shouldn’t our health be just as important as our toothpaste, underwear, and groceries? If we don’t have our health, what do we have? 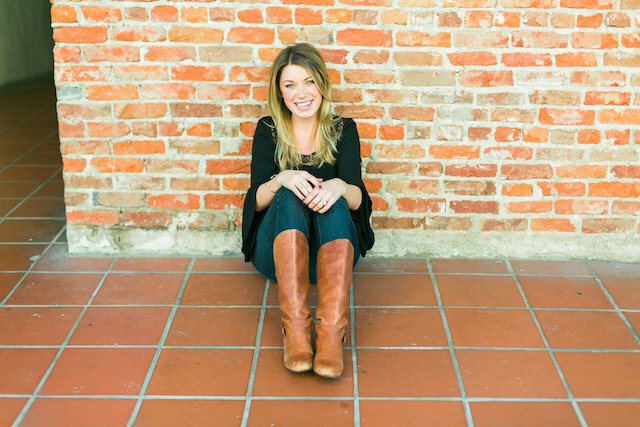 ♡ 12 private 50-minute coaching sessions with a Certified Holistic Health Coach, me! I’m a graduate of the Institute for Integrative Nutrition, I am Certified by the American Association of Drugless Practitioners, I recently studied Intuitive Eating with Evelyn Trioble herself, and am now invested in Transformational Coaching with HolisticMBA Coaches Stacey & Carey. I myself am a living success story because of the methods I use in my Signature Six-Month Program. ♡ if you sign with me in Feb 2015 you will also get my eBook, Finding Balance, totally free! If you already bought her in the past, you’ll get a $14.97 credit toward coaching! Health Coaching truly is total lifestyle coaching. We work largely on nutrition/listening to your body/mindset shifts, but we also work through all of those life events that pop up over the course of six months. We set goals together, I hold you accountable, and we move forward together. 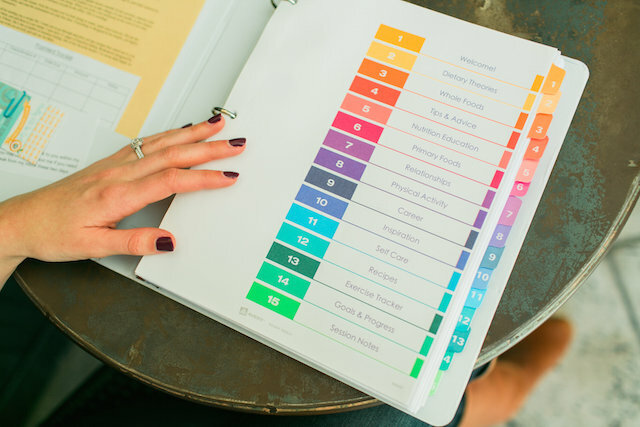 We will work on your health, your relationships, your productivity, organization/planning skills, the way you speak to yourself and others, the way you feel about yourself, your joy, your career, your finances/budgeting, etc… It’s a full life spectrum! 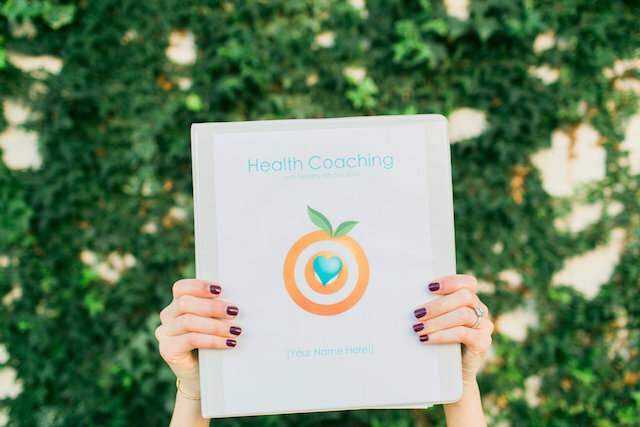 This February I am opening up 10 Health Coaching spots (I literally already have 10 of my own client forms started)! I’ve made room for this MOST popular time of year! I am taking Consultations now. …better socialization skills, financial control, rid of guilt around food, more joy, freedom to respect and value their bodies, the ability to listen to their hunger signals and respond with them, etc… and, they’ve all been seriously enlightened around nutrition! Drop your name on my list here and I’ll contact you with a link to fill out your Health History. 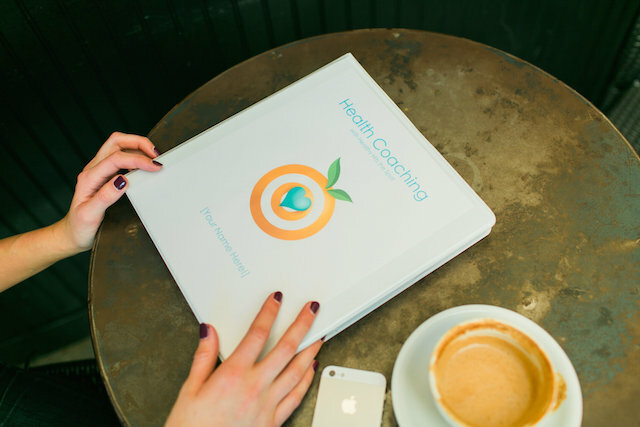 Health coaching is the most meaningful/loving way you could invest in yourself! Get your name on my list here. I can’t wait to meet my new girls!! If you’ve been a long time reader of HHS, have gone through coaching yourself, or have just signed up, please share this post with friends who you think might also be interested. Sharing on social media would also be awesome! Tag me if you share on social media so I can come thank you! Thank YOU for your support & helping me to help others. Next Post: New Years Intentions 2015 – How Am I Doing? Previous Post: Group Program – Same Great Price, New BETTER Time!